Some of us are gonna have to let go of Christmas if we ever expect Summer to happen!! 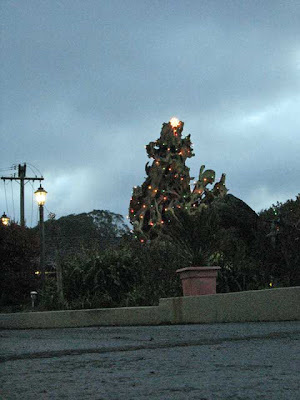 I spotted this fully decorated tree beside the entry way to one of the motels along Main Street! E-gad!